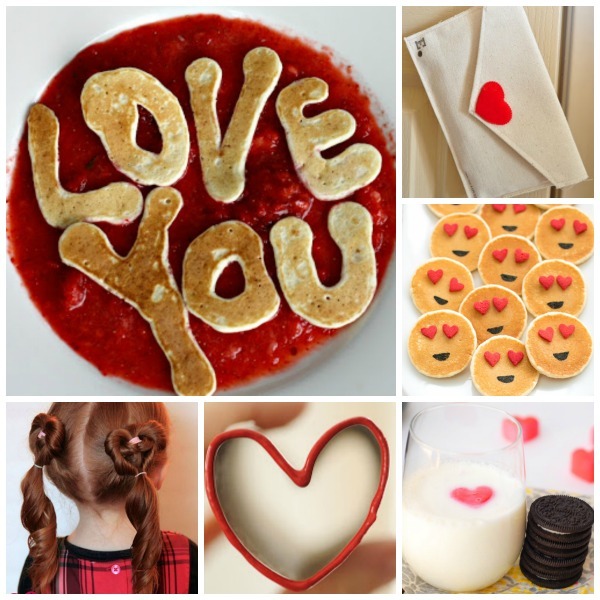 Are you looking for Valentine's Day themed activities for kids? 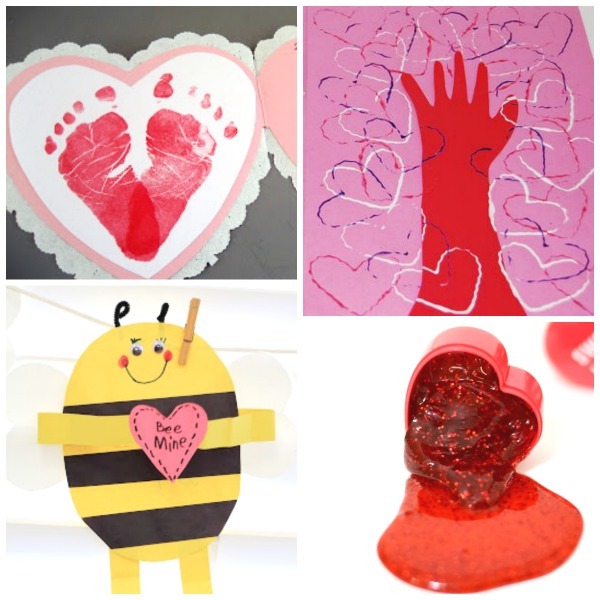 Well, look no further- here are tons of fun valentines ideas including art, science, games, and more! 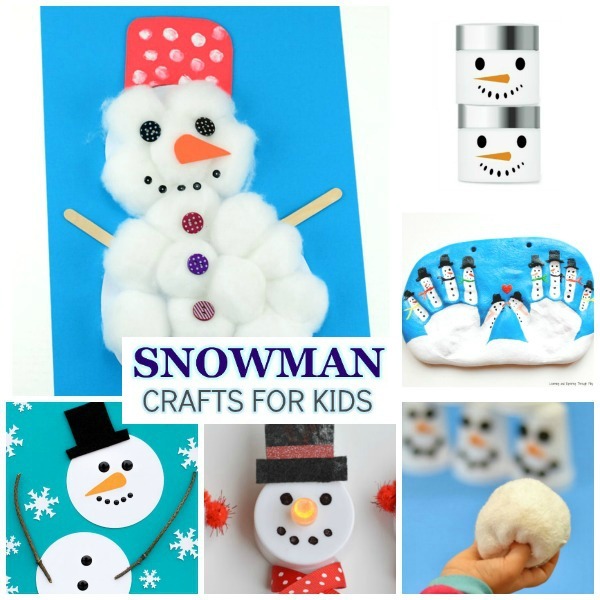 Follow us on Pinterest & Facebook and for all the best kids activities! Turn coffee filters into beautiful tie-dye hearts. Use wax paper and crayons to make heart sun catchers. Make sticky heart sun catchers. 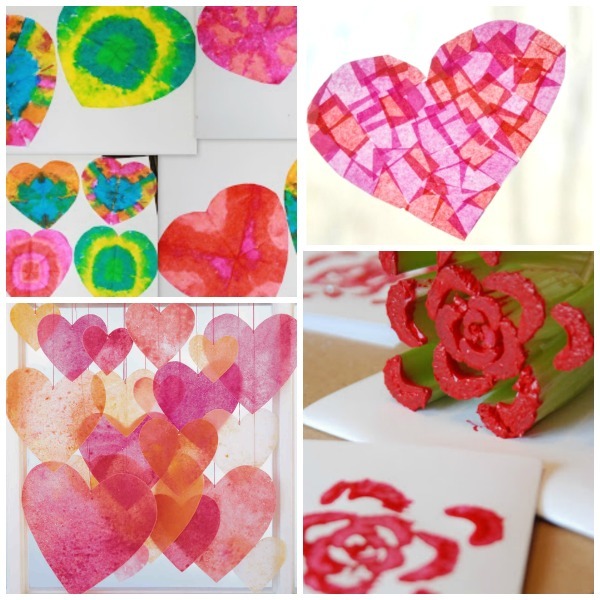 Turn food into art and make celery stamped valentines. Surprise the kids with heart ice cubes in their drink. Celebrate Valentine's day as a family with this love buckets idea. WOW the kids and grow heart pops! Save a few cardboard rolls and try heart tube stamping. Make a hand-print canvas keepsake. 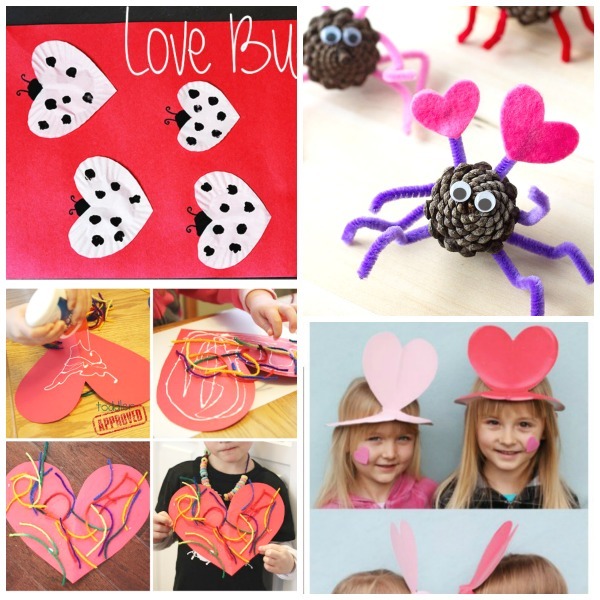 Create and wear love bug hats. 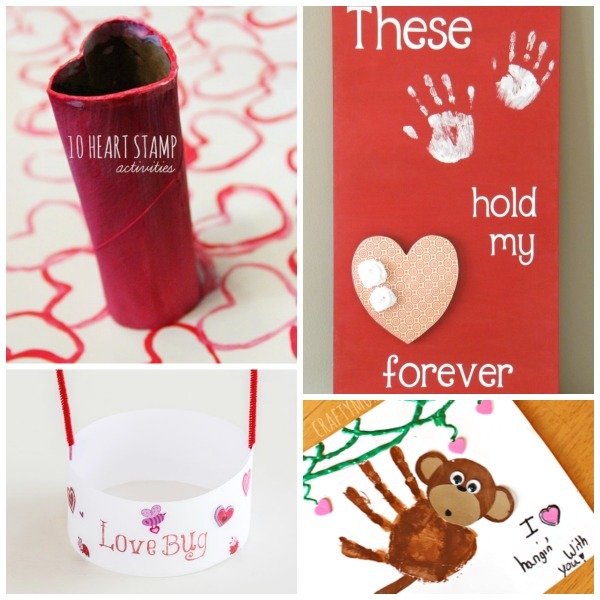 Turn tiny hand-prints into heart monkeys. Craft this adorable BEE Mine Valentine. Make a hand-print heart "tree of love". 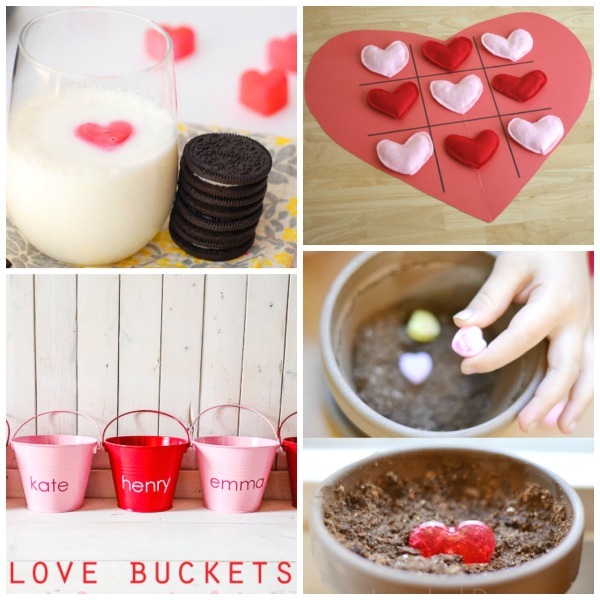 Skip the candy and give out melting heart slime as a valentine instead. Use fingers as stamps and make fingerprint love bugs. Have a toddler at home? 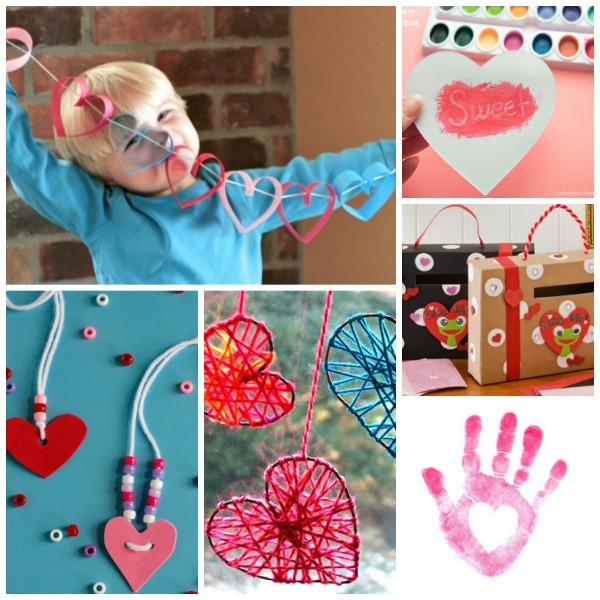 This yarn hearts craft is perfect for them! Transform pine-cones into adorable love bugs. Use paper plates to make adorable heart hats. Another great idea using paper plates- play cupid's arrow toss. Turn some of that candy into science with this candy hearts experiment. Show kids how much you love them with this valentines heart attack idea. 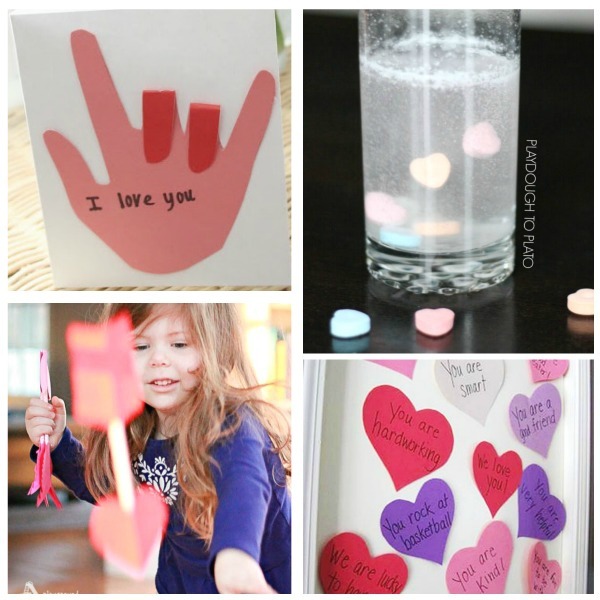 Turn your child's hand-print into an adorable, "I love you" sign language card. 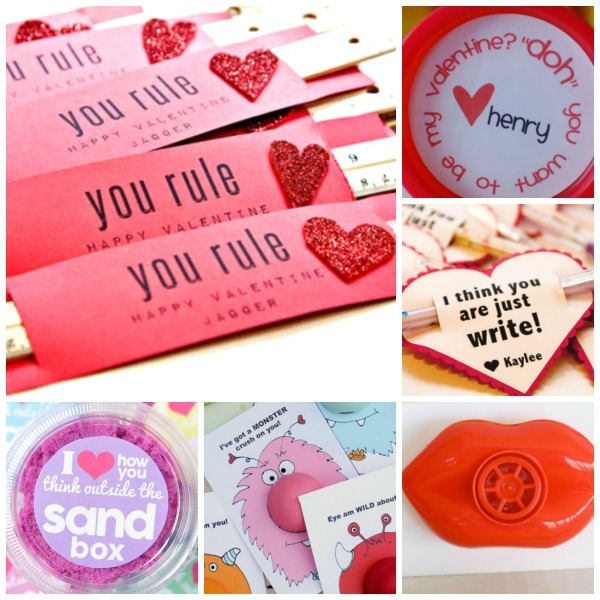 Make a crafty box to hold all those valentines. 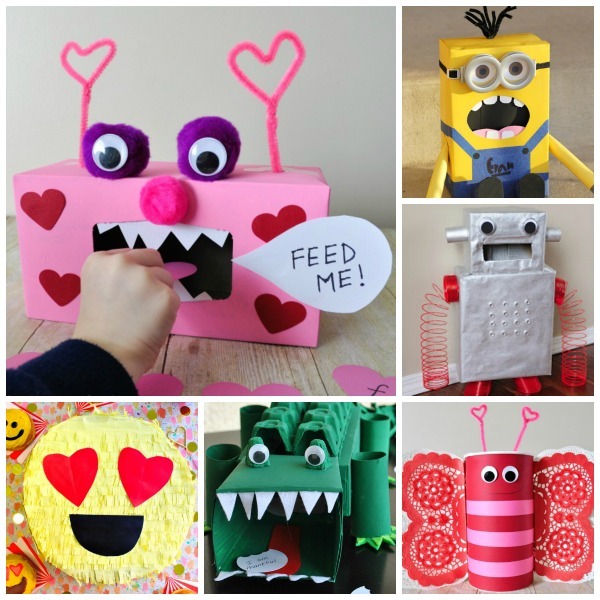 Here are 25 awesome valentine box ideas. 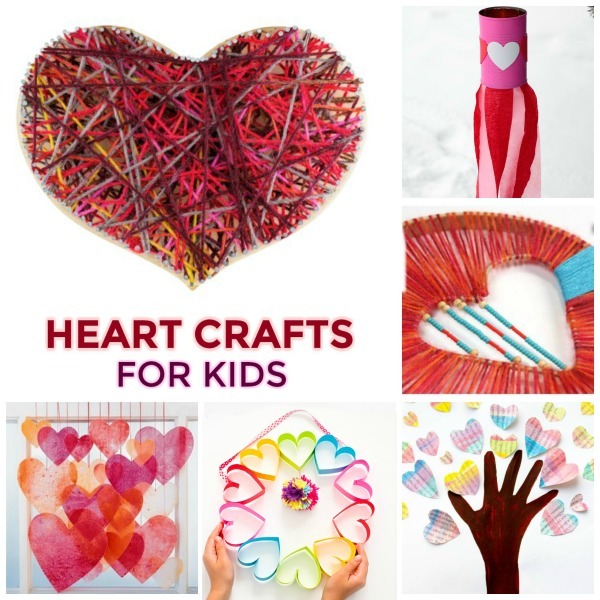 Craft your heart out with this collection of adorable heart crafts for kids. 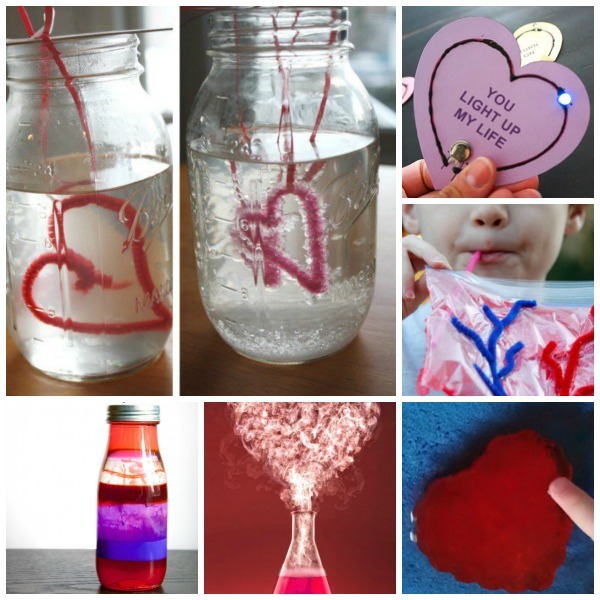 Explore the science of love with this collection of Valentine's themed experiments for kids. 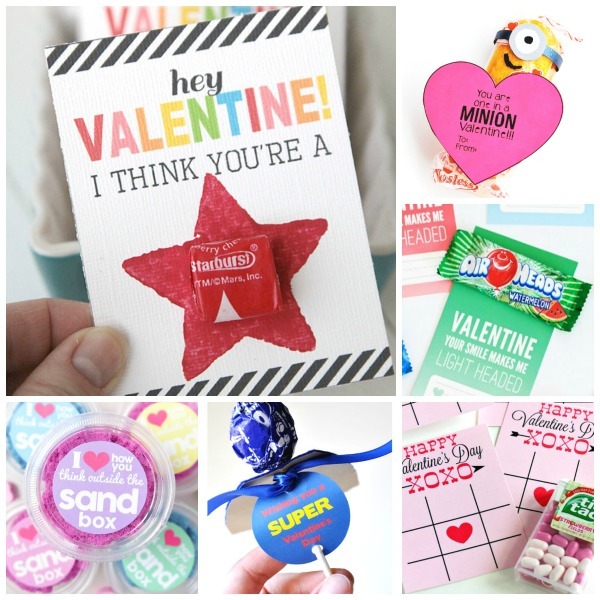 Skip the candy & give out one of these awesome valentines instead! This post features 50 no-candy valentines. 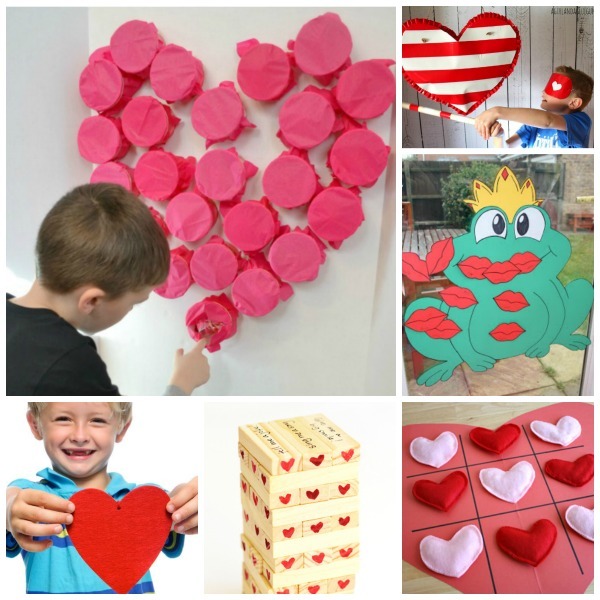 Get your game on with this collection of valentine's themed games for kids. 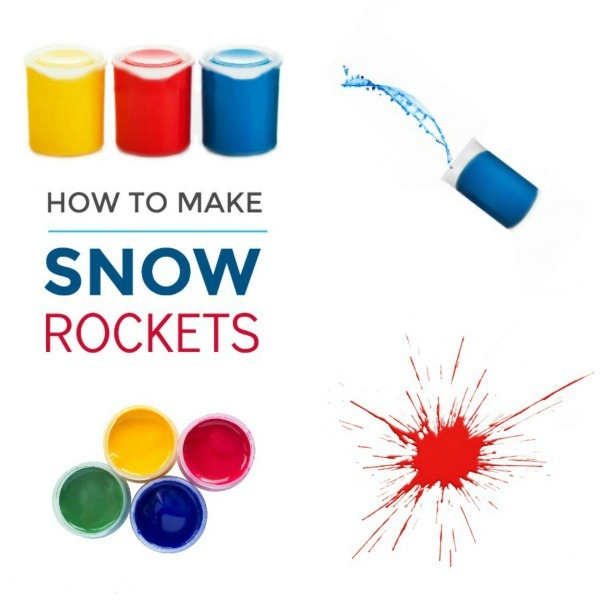 These are great for class parties!